If you're lucky enough to have a full day of doing nothing when you have a hangover then you are winning, because for most of us that isn't the case. After a night out, sleep is a must so getting up early to do a burgundy smokey eye is the last thing on anyones mind. I just throw on some makeup that'll make me look more awake but isn't too time consuming because I need that extra hour in bed. Moisturing is always key after a night out because it's highly unlikely that you stumbled in and did a full evening cleanse, tone and moisturise routine before your head hit the pillow (we're all guilty) so putting the moisture back into your skin is a good way to start. 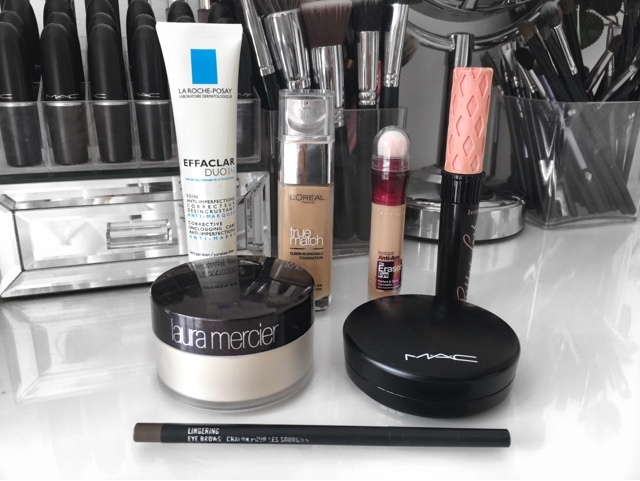 I use La Roche-Posay Effaclar Duo it's hydrating but it's not thick in consistency which makes it perfect for under makeup. L'oreal True Match foundation is great as a hangover foundation because of it's luminosity so your skin will appear brighter and more awake. The coverage is good too but the foundation itself isn't very long lasting. Concealer is a must to hide your tired eyes, Maybelline Eraser Eye is my favourite. No one has the time or the effort to use one powder for baking and the other for the rest of the face so a light dusting of the holy grail Laura Mercier Loose Translucent Setting Powder is a quick and easy way to set the foundation. Bronzer is good for putting colour and warmth back into the skin. MAC Mineralise Skinfinish in Give Me Sun is my new absolute favourite. I find that brow pencils are easy to work with to create a good shape without the effort of a pomade and brush. For hangover days (and hangover days only!) 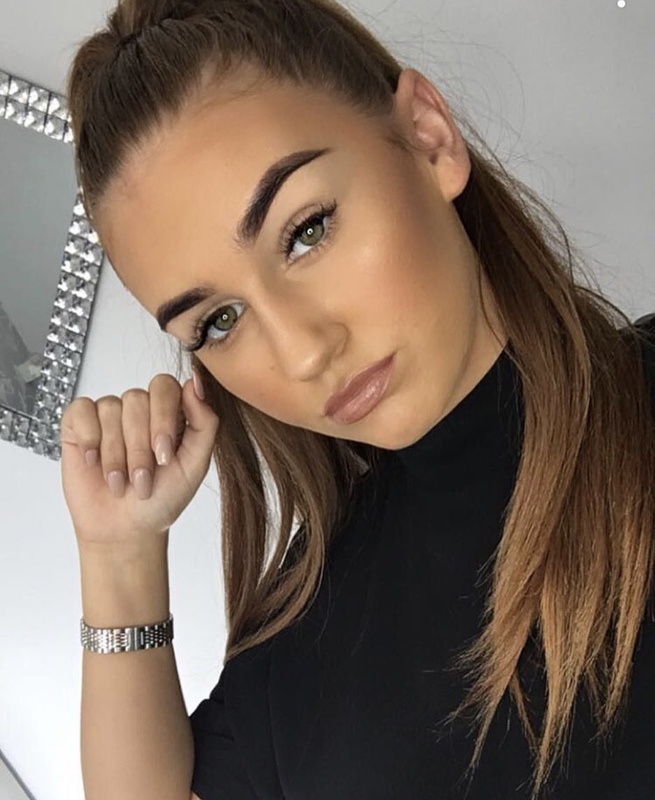 I sway away from my beloved dipbrow and just lightly define my brows with a MAC brow pencil in Lingering. Last but not least is a coat of mascara to try and make my eyes look more awake! That's my recipe for hangover makeup, I suggest you pair this makeup with Netflix and carbs. Let me know what your key products for hangover makeup in the comments below! See you soon!